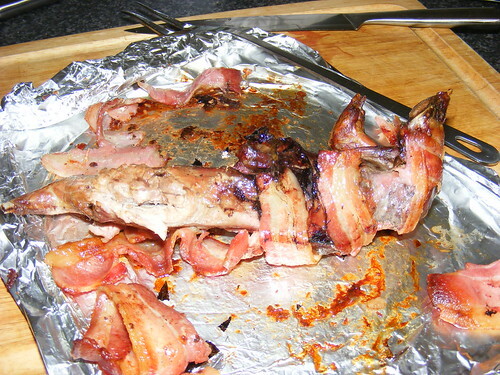 Let’s not be squeamish about this – I cooked a squirrel. I didn’t shoot it myself, I bought it at the farmer’s market. And why not? It’s meat, just like rabbit and lamb and chicken is meat. 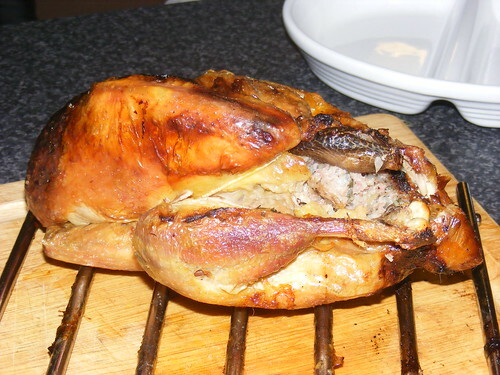 It’s not a LOT of meat, squirrels being quite small, but it is surprisingly tasty. And not like you’d expect – I expected it to taste gamey or like rabbit but it actually tastes like a cross between turkey and lamb. As it’s quite lean, I wrapped it in bacon and roasted it for half an hour. Because it was an experiment I didn’t make a big meal out of it, just cooked it on its own. It would probably have been nicer in a casserole slow-cooked for a couple of hours. However, like I say, it was tasty and I would eat it again. Certainly if we plunge into a hideous depression and can’t afford more usual meats, squirrel could earn a place at the table. If you do happen to see one for sale, pick it up and have a go. 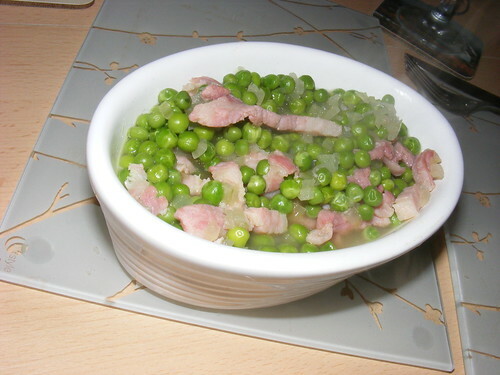 This is an extremely simple side dish which is a bit more interesting than the usual peas/carrots/potato combo we always seem to end up with in our house. You can even do it low-fat by using spray olive oil instead of butter and low-fat crème fraiche instead of cream. I prefer crème fraiche anyway, it’s more tangy. Slice the leek fairly finely (ie, not great big chunks). Someone asked me recently whether it’s okay to eat the green bits on leeks and I reckon they’re fine to eat right up into it separates into leaves. Wash the leek carefully because there’s often mud inside them. Melt the knob of butter in a small frying pan (or a couple of sprays of olive oil if you’re being low-fat) on a medium heat. When it’s melted, chuck in the leaks and soften for about three minutes. Now add the cream/crème fraiche and let it bubble for a couple of minutes until it’s thickened a bit. Have a taste and add salt and pepper as you think it needs it. That’s it! Serve it up. Well easy! This is very simple and ready in less than 15 minutes – a superquick and tasty midweek supper. 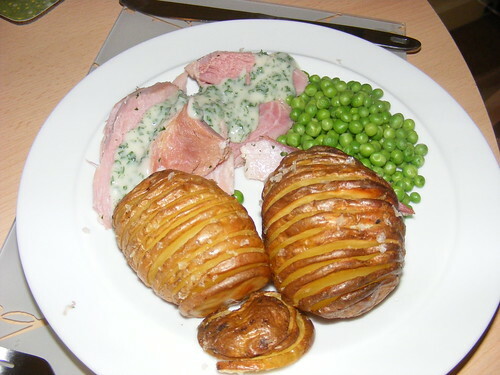 Good flavours, and you can make it low-fat by using low-fat crème fraiche instead of cream. I actually prefer crème fraiche to ordinary cream anyway, it’s more zingy. First slice the tenderloin into medallions, about 1 or 2cm thick. Mix together the crème fraiche, mustard and honey in a bowl and set aside. Put the butter in a frying pan and set it on a fairly high heat. Slice the onion finely and once the butter is frothing, add them to the pan. 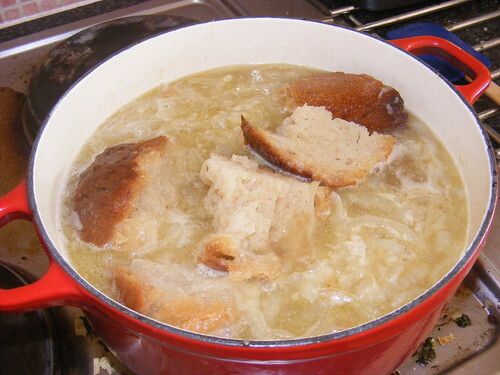 You’re not doing long, slow cooking here (although you could if you really wanted to), so simply soften and brown the onions, making sure the stir frequently so they don’t burn. Once they’ve got a nice colour, either remove the onions from the pan or move them to the edge. 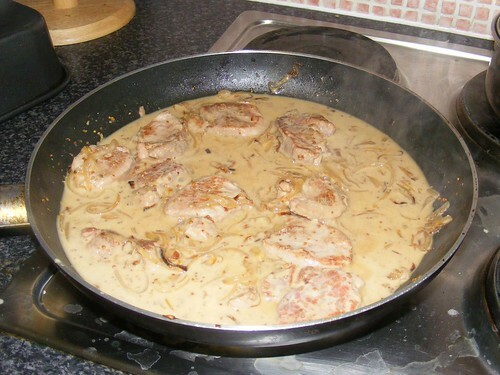 Add a bit more butter if the pan is dry and add the pork medallions. Now don’t touch it for 1 minute. Don’t be tempted to faff about, moving them round the pan. It doesn’t need it. After 1 minute, turn the medallions over and do them on that side for another minute. Now pour over the cider and let it bubble away for a minutes or so and reduce a bit. 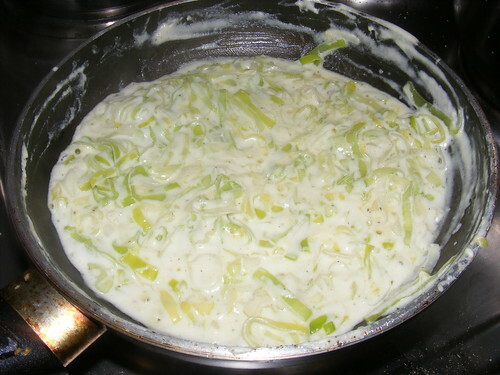 Take the pan off the heat and add the onions (if you previously removed them) and the crème fraiche/honey/mustard mix. Stir in well, reduce the heat and put the pan back on the heat. Let it simmer for a couple of minutes, have a taste and add salt and pepper as you feel it needs it. Voila, it’s ready. I like to serve it with rice, but you can also have it with potatoes, veg, noodles, whatever you like. Very nice.